Early in the rush hour, there’s a steady stream of people walking from the Park&Ride into the city (2km). It’s good exercise, cheaper than the bus, not subject to congestion, and simpler than cycling. 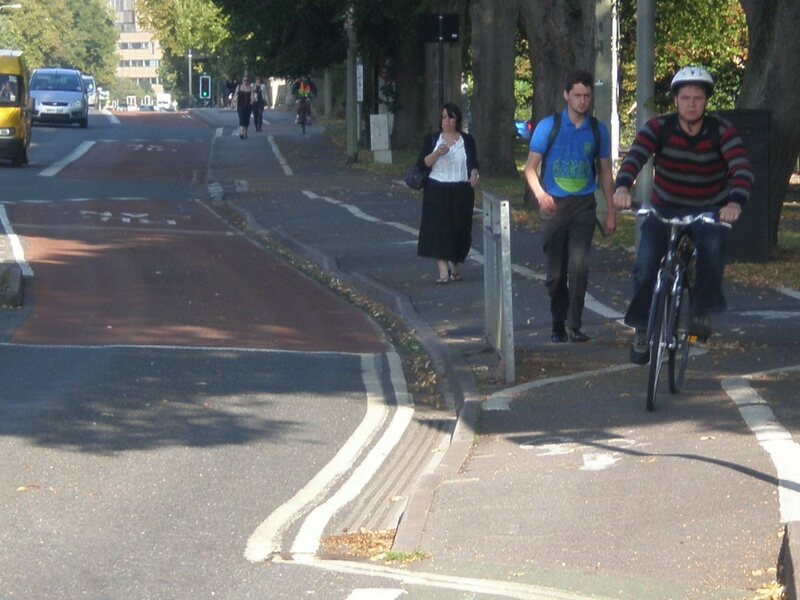 It’s a pity that the cycle track takes half the pavement: it helps if fast cyclists use the bus lane.